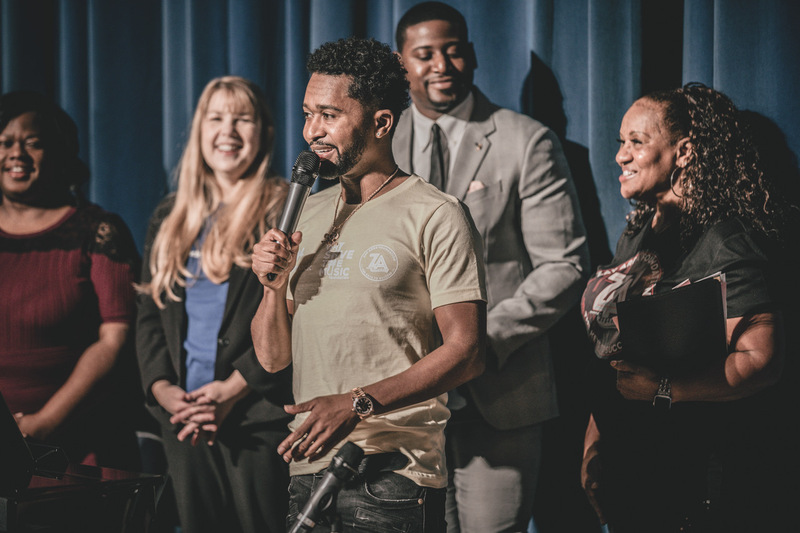 Together with Zaytoven, Audiomack, and Zay Area Foundation, we delivered our first Keys + Kids Piano Grant in Atlanta, GA to Benjamin E. Mays High School. Principal, Mr. Richard Fowler, opened the assembly by talking about how it is the job of educators to ignite a passion into students and that the new instruments will encourage them to pursue music. Dr. Sara Womack of Atlanta Public Schools spoke about the importance of music education, followed by Jason Johnson of Audiomack who emphasized the company’s commitment to making sure students have the tools to grow and hopefully populate the streaming service’s platform one day. Chiho Feindler, Save The Music’s Senior Director of Programs & Policy, then led the audience in a countdown to unveil the brand-new piano! 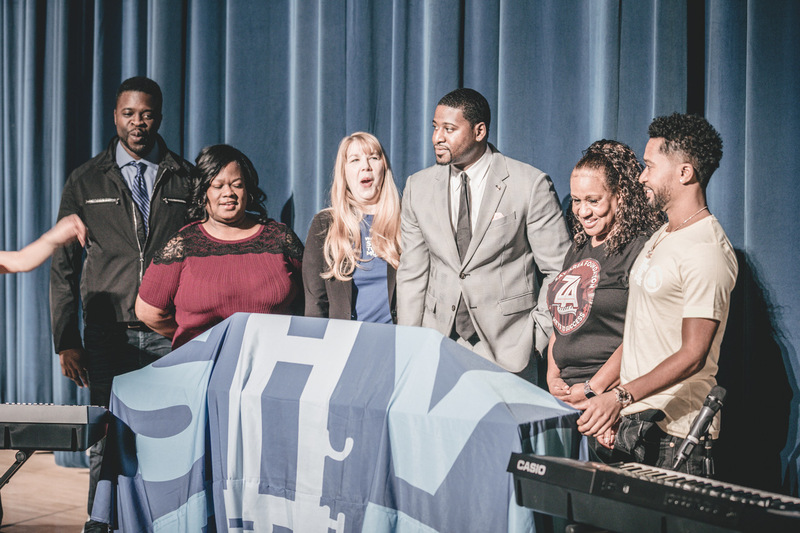 Led by their music teacher, Ms. Garnetta Penn, the choir performed two songs, accompanied by their new piano. Zaytoven then participated in a Q&A with the audience, answering questions about how he got started in the music industry. He first started playing the piano at church. He began making beats and it soon turned into collaborations with artists such as Usher, Future, and Gucci Mane. He talked about the challenges he faced as a producer and the desire to give back to the youth especially since now many want to be in entertainment. 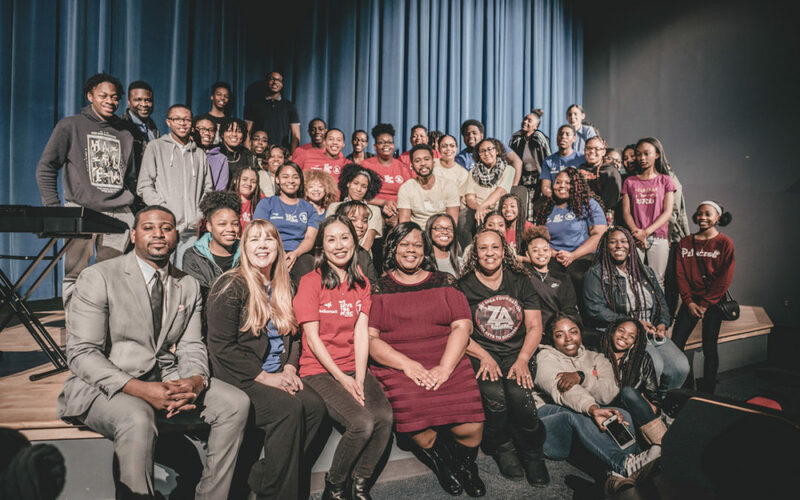 Thank you to Zaytoven, Audiomack, and Zay Area Foundation for inspiring the next generation of music makers! Check out this awesome video recap from Atlanta Public Schools.